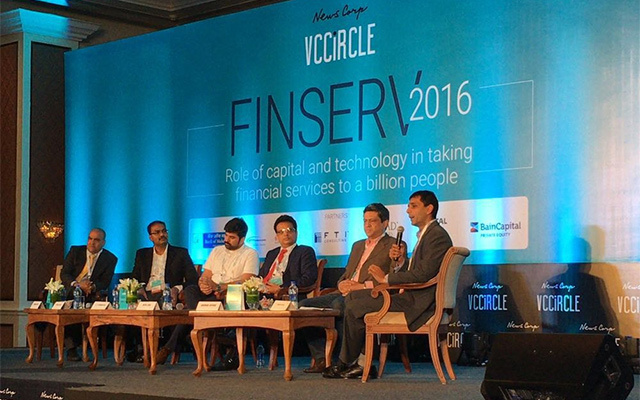 It will take another three to five years to have a billion-dollar fintech company emerge in India as the sector will take a profit-first and valuation-later approach, unlike their e-commerce counterparts, said panellists at News Corp VCCircle FinServe 2016 summit in Mumbai on Thursday. India’s fintech startups will also learn more from China, owing to similar demographic opportunities and challenges, unlike other industries that primarily learnt from the US, the panellists said. While there are no successful models yet, companies are experimenting with different models that include marketplace, bidding process and intermediary, they added. Moderator Anand Lunia, co-founder and partner at India Quotient, said the fintech sector has several players with each exploring different business model and asked if these companies can be seen as the extended arm of banking companies. Adhil Shetty, founder and CEO of Bankbazaar, said his company cannot be seen as an offshoot of banking operations as it partnered with various financial services companies while also offering standalone financial products. To buttress his point, he said the popularity of platforms such as his can be gauged from the fact that his web site alone received 90 lakh visitors in the month of March alone. Vineetha MG, partner at Samvad Partners, pointed out that there has been no disruption outside of the pure lending domain and there is scope for insurance players to tap the fintech model for delivery of their products. The panellists concurred that the data used for processing loans by fintech companies should be available in the market, so that all non-banking finance companies may have access to it. Gaurav Hinduja, co-founder of Capital Float said that making the data available to all will reduce the time taken from application to disbursal to 10 minutes. He added that social data can be used for verification as well as for recoveries. Hinduja also said that a price war among fintech companies is inevitable but it won’t be as fierce as in e-commerce sector, which is a winner-takes-it-all business. The panellists also pointed out that fintech players have a large market to grow and will take years to match the market share of public-sector banks. Rajat Gandhi of Gurgaon-based Faircent, which operates a peer-to-peer (P2P) lending platform bringing borrowers and lenders together through a bidding process, said that credit score would continue to be the main criteria for disbursal of loans while data from social media can only be a value-add. Shankar Vaddadi, CEO and founder of P2P lending company i-lend, too, argued that data is an enabler and should be used to provide traditional products with a difference. Vaddadi also said that fintech companies are increasing focus on customer acquisition, but added that this will not be done by burning cash. BankBazaar’s Shetty explained that the business is different from the e-commerce industry, which needs to burn cash for acquisition of customers. He said BankBazaar’s business has grown five times after Sequoia Capital and Amazon invested in July 2015. Fintech companies need to spend mainly on marketing, people and core technology, he said adding that fintech companies will question the status quo, pushing banks to change. The panellists also said that the chances of default by borrowers are lower for fintech companies as these firms monitor the business performance of the borrower through analytics that helps detecting concern areas on a consistent basis. Vaddadi said his firm has a 0.16% default rate. The day-long event saw participation from nearly 250 delegates. The traditional financial services players were also upbeat about the disruption brought in by the fintech companies. Panellists from a different session said that technology can provide new ways of doing business and the online channel will be an interesting addition to their offline presence. Nitin Jain, CEO, global asset and wealth management, Edelweiss Financial Services, said that a standard allocation across four or five portfolios can cover almost 80% of the population in the country. Retail investors don’t understand the importance of leverage and are mostly unsure of new investment opportunities, Jain said, adding that fintech can address the issue through new ways of engagement with the people. Gaurav Zutshi, executive vice president and chief digital officer, Aditya Birla Financial Services, one of the early brick-and-mortar players to go digital, said: "Only 5% of the addressable customer base has been served." In other words, only 5% of the current target group has bought a financial product other than a bank account. Aditya Birla Financial Services runs MyUniverse, India's largest personal finance platform. Zutshi also said, "less than 5% of the current business is digitally sourced and it will take two to three years for incumbents to offer digital solutions in partnership with fintech firms to reach higher penetration and serve customers beyond top 20 cities. That will be the inflexion point for financial access in India."